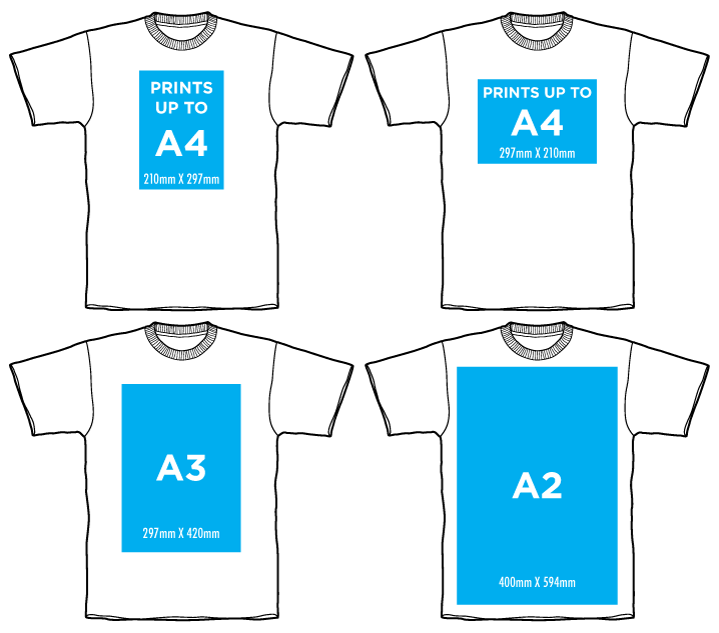 These are our standard print sizes as a guide. Some size restrictions may apply depending on the placement and print quantity. For volume printing we try to keep the print size to a maximum of 360mm x 440mm. In addition to our standard print sizes we also offer Full Bleed printing for 1 colour designs larger than A2.